Ludwig is a Manager at Capgemini where he is part of the Customer Experience team. With a background in Innovation Management and Operating Model Design Ludwig has developed a strong interest in understanding how big organisations could structure their innovation capabilities to repeatedly move ideas from inception to impact. Over the last few years Ludwig delivered several innovation engagements for Capgemini and contributed to the design and implementation of Innovation Functions for major organisations. With over 6 years of consulting, Ludwig also had the opportunity to work on Digital Transformation projects for clients from diverse industries across France and Australia. She is also a founding member of the Digital Disruption Research Group at Sydney University Business School and a sessional academic at the University of Technology Sydney (UTS). She uses her research into the communication aspects of social networks to provide an informed backdrop to understanding how people are using new tools and changing traditional models of communication. She constantly challenges organisations to reframe their models of communication, service design, and workforce engagement. Anne’s PhD explored the experiences of developing social networks through self-publishing technologies such as blogs. 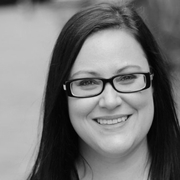 Claire is a Manager within the Digital Services – Advisory. 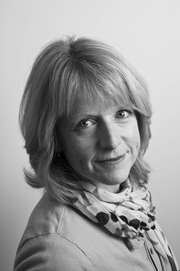 Claire’s primary expertise is Digital Transformation Management, Customer Experience analysis and Project Management. She has over 5 years consulting experience, spread over a number of diverse industries from Finance to Transport and Retail. Janett Egber leads the Melbourne Chapter of the Global League of Intrapreneurs- a learning community of change makers and innovation leaders working to transform business and systems from the inside out. She is also the founder of the Egber Group and the co-founder of the Centre for Intrapreneurship – a newly established organisation connecting, inspiring and empowering Intrapreneurs, which together with RMIT, co-developed Australia’s first micro-credential on ‘Intrapreneurship’ earlier this year. Janett has over 20 years of professional experience, including 10 years in financial services, most of the time as a practicing ‘Intrapreneur’ leading change and innovation from within NAB; Including 18 months with National Australia Bank’s Innovation Lab, “NAB Labs” when it was first established. Prior to financial services, she worked across sectors in market research, segmentation, customer experience & analytics. Janett is a graduate of the Melbourne Business School where she competed her Masters of Marketing and the Hebrew University of Jerusalem (Honours in Statistics); She speaks fluently three languages and is the proud mother of two strong & driven teenage girls. Sylvain Emeric leads the Digital Customer Experience and Innovation Strategy practices at Capgemini. Sylvain specialises in digital and innovation strategy, innovation ecosystems, customer experience, digital transformation, design thinking and rapid prototyping. He has worked for large clients across several industries including Utilities, Energy, Banking, Transport & Logistic, Education and Government. Anthony Ferrier is a well-regarded executive, advisor and thought leader on corporate innovation, with a focus on employee engagement and training. He advises companies on how to thrive in an exponential world, by developing appropriate strategic frameworks to guide organizational change and build cultures that encourage the development of new ideas. Anthony is a widely-read author, speaker and advisor to organizations such as Bristol-Myers Squibb, Fidelity Investments, Pfizer, Johnson & Johnson, ADP and USAA. He previously led The Bank of New York Mellon innovation program and currently is the Advisory Board Chair for Swinburne University’s Center of the New Workforce. Anthony has a Master of Commerce (University of Sydney) and Bachelor of Economics (University of Newcastle). Michele is the Founder and CEO of On Purpose Transformation and part of a new breed of Disruptive Advisors who specialise in assisting organisations to navigate through challenging times. They utilise innovative leadership approaches to manage disruption and transformation of people, processes and technology. Michele is a member of the Digital Disruption Research Group at Sydney University Business School, on the leadership team of the Professional Speakers Association and a mentor for AIPM. She has over 20 years’ experience globally in industries across IT, Health and Education leading change and innovation. Her award-winning book on “Mindful Leadership” provides the leading framework for guiding individuals and teams through disruptive organisational transformation. Michele and her team are sought out to challenge organisations to reframe their models of leadership, customer engagement and digital strategies. Sophie is an applied anthropologist working in Deloitte Digital’s Customer Strategy and Innovation practice. She combines her passion for helping organisations develop people-centric experiences with her expertise in ethnographic research to uncover the explicit and implicit needs, behaviours and aspirations of customers and employees. Natalie was an integral part of the DDRG, a member of the Ripple Effect Group, a PhD candidate and educator at the Business School and a friend to many in the DISRUPT.SYDNEY community. Her recent passing leaves a void that remains inexplicable. Natalie was a passionate, independent thinker, and curious human being who did not shy away from questioning taken-for-granted assumptions. Her legacy will live on in what we do and how we think about the world. She will be with us in spirit and ideas at this year’s conference. Natalie was the 2016 recipient of the Ripple Effect Group and University of Sydney Business School PhD Research Scholarship. Her research concerns alternative methods for introducing technology to organisations that put people front and centre. While her work is left sadly unfinished, her ideas will remain influential beyond her lifetime. Dr Connie Henson is the author of BrainWise Leadership: Practical neuroscience to survive and thrive at work, the founder and managing director Learning Quest, and the creator of Learning Quest’s science-based Mind Management ™ methodology. Connie has international experience facilitating cultural change and business transformation, and diverse industry experience including corporate, SME, not-for-profit and government. She has deep expertise in program design, research, facilitation, teaching complex problem solving and team development. A lively presenter, Connie’s passion for the science of ‘how people work’ enables her to apply the most current research and techniques in a way that is both practical and entertaining. Her talks encourage high interaction and quickly get people thinking and working differently. Michela is an artist and director redefining the space between cinema and games. In 2004 she won a NESTA Invention award for ‘remixable film’, which outlines her vision for playful storytelling and digital culture and continues to underpin her artistic practice. She is co-founder of studio Mod and has been both the creative and technical lead on numerous productions. Michela has been an Internet pioneer since the early 1990s, creating the first website in NSW and setting up the National Library of Australia’s first web service, before working on some of the largest internet projects in Europe. She is Vice President, Digital of the Australian Directors Guild and a co-founder of Women in AR & VR Sydney. CEO & Co-Founder, Pinscreen Inc.
Hao Li is CEO/Co-Founder of Pinscreen, assistant professor of Computer Science at the University of Southern California, and the director of the Vision and Graphics Lab at the USC Institute for Creative Technologies. Hao’s work in Computer Graphics and Computer Vision focuses on digitizing humans and capturing their performances for immersive communication and telepresence in virtual worlds. His research involves the development of novel geometry processing, data-driven, and deep learning algorithms. 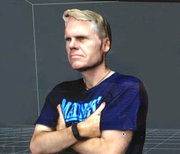 He is known for his seminal work in non-rigid shape alignment, real-time facial performance capture, hair digitization, and dynamic full body capture. He was previously a visiting professor at Weta Digital, a research lead at Industrial Light & Magic / Lucasfilm, and a postdoctoral fellow at Columbia and Princeton Universities. He was named top 35 innovator under 35 by MIT Technology Review in 2013 and was also awarded the Google Faculty Award, the Okawa Foundation Research Grant, as well as the Andrew and Erna Viterbi Early Career Chair. He won the Office of Naval Research (ONR) Young Investigator Award in 2018. Hao obtained his PhD at ETH Zurich and his MSc at the University of Karlsruhe (TH). Qualified as an organisational psychologist, Tim is an experienced consultant who has been developing individuals and organisations through their people for over 15 years. Tim has designed and facilitated workshops on leadership, team development and strategy, and provided coaching to individuals and groups from a range of government, corporate and non-profit organisations. Tim is on the home stretch of his PhD in Business at the University of Sydney where he has been sponsored by Deloitte Australia to explore the future of work and the role of technology in helping us to lead more fulfilling and purposeful working lives. Fiona is a commercial Executive Leader with extensive international HR experience and is focused on opportunities that arise when innovation, technology and high performing teams meaningfully intersect. As Founder and CEO of The Social Index, she is passionate about the commercial and individual success that is possible when business brands and individual reputations are aligned. Fiona has worked within large multi-national organisations in industries including Financial Services, Logistics, Private Equity as well as successful HR startup businesses. Jakkii is an experienced intranet and community management specialist. Her focus is helping organisations get the most out of their social and collaborative technologies by guiding staff in their use, consulting across the organisation to increase understanding of the power of collaboration and assisting teams to implement process improvements. Her professional experience includes the adoption, education, engagement, use and integration of social collaboration tools within organisations. Sandra Peter is an innovator, researcher and educator. She leads the Sydney Business Insights strategic initiative to deliver on the University of Sydney Business School’s commitment to being an engaged, relevant and influential voice on major issues and trends. She develops a range of content (including articles, podcasts and videos) and contributes to furthering informed research and critical thinking on the future of business together with researchers, leading thinkers in industry, government and community. Kai is a Professor at The University of Sydney Business School. His expertise is in Enterprise Social Networking, e-Collaboration, inter-firm networking, virtual work, social impact of ICTs, and the practical philosophy of technology. Kai is currently doing research into technology adoption and sense-making, infrastructure technologies and the adoption and management of Enterprise Social Networking. He has held positions with the University of Muenster in Germany, Melbourne University and University College Dublin and consulted with a range of companies both in Europe and Australia. Kai is the founder of the Digital Disruption Research Group (DDRG) and convenor of DISRUPT.SYDNEY. Mike Seymour has a B Sc. focused on CGI and Pure Maths from the University of Sydney where he also did his Masters (MBA) and he is currently doing his PhD and lecturing. His research is into using interactive realtime photoreal faces in new forms of Human Computer Interfaces (CHI). Mike has worked for many years in the visual effects area of the entertainment industry, in R&D and in film production, winning an AFI and being nominated for a Prime time Emmy in the USA. He has worked as a compositor, vfx supervisor and second unit director on various TV shows here and in the UK. He is also well known for his work as a writer, consultant and educator with the web sites fxguide.com and fxphd.com. These sites provide an important link between the film and vfx community and the research community who constantly push the limits of technology. Mike has lectured and presented at NAB, ACM SIGGRAPH, CVMP and SMPTE. He regularly can be heard on the company’s own podcasts, as well as having contributed to Warner Bros., Paramount, News Corp, the BBC (radio) and WIRED Magazine (- over 70+ times). Mike is based in Sydney, but has previously worked in Hollywood and London. He is known internationally and makes a mean Margarita. Simon Terry provides consulting, advice, speaking and thought leadership to global clients through his own consulting practice, and as Chairman and Owner of Change Agents Worldwide Pty Ltd, a network of progressive and passionate professionals, specializing in Future of Work technologies and practices. Simon’s practice focuses on assisting organizations to transform customer experience, collaboration, and leadership through leverage of purposeful, agile and innovative teams. Simon writes on social collaboration, leadership, digital transformation and the future of work at his blog and on Twitter. Simon is also Head of Markets for Lantern Pay, an innovative digital health & care payments solutions, a non-executive director at Bank First, and a Council Member of Haileybury, Australia’s largest private school. Simon is currently working on the book: Degrees of Freedom. Pete is a recognised thought leader and practitioner in Innovation with a particular focus on digital innovation. Although his professional training was as a Chartered Accountant Pete started working with internet technologies in 1993 while working in the UK and on his return to Melbourne, Australia in 1996 founded an eBusiness Consulting group within Deloitte Australia. Since that time Pete was the CEO of the Eclipse Group, a Deloitte subsidiary that was one of Australia’s largest web and mobile development firms, and then founded Deloitte Digital, which now operates in over 30 countries and has been recently called out as the 3rd largest Digital Agency network in the world by AdAge in New York.Pete is now Chief Edge Officer for Deloitte Centre for the Edge AU. The Centre focuses on major changes in the business environment driven by digital innovation and globalisation. It identifies and explores emerging opportunities related to big shifts not yet on the senior management agenda but ought to be. While it is focused on long-term trends and opportunities, it is equally focused on implications for near-term action, the day-to-day environment of executives and their teams.He has been the Chairman of Deloitte’s Innovation Council since 2004 and has worked with boards and senior executives of many companies helping them understand and adapt to the rapidly changing digital environment as well as being a sought after speaker and media commentator both locally and internationally.He is an Adjunct Professor at RMIT, and on the boards of Deloitte Foundation, Reach Foundation and Hall and Wilcox Lawyers.